Outdoor Recreation has two (2) picnic areas available for use for a $25 fee for authorized ID card holders. The North Beach area is located beachside on SR A1A north of the east gate. Chevron Park is located on the Banana River off Rescue Road just north of the FAMCAMP. Reservations for all areas are accepted up to 90 days in advance of your event. Reservations are required in person during normal business hours. 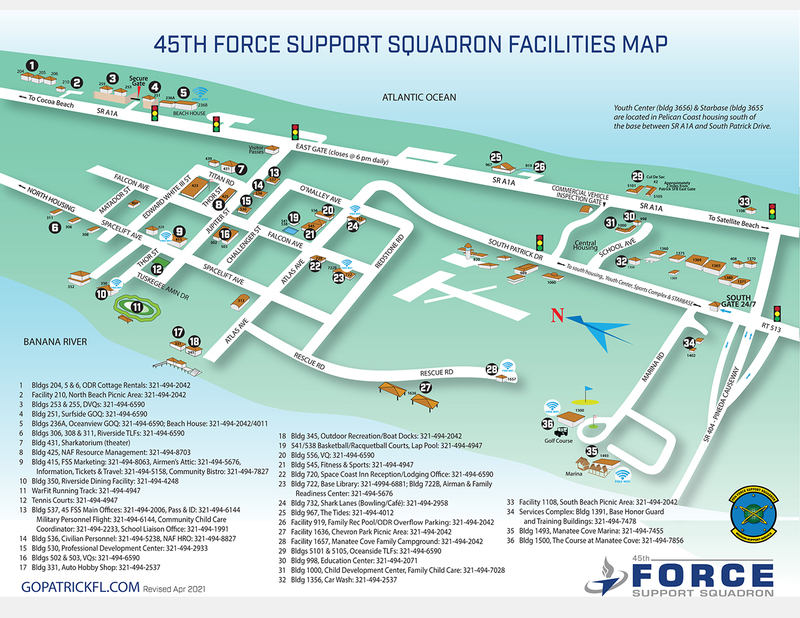 The 45th Force Support Squadron at Patrick AFB has a variety of facilities that are available for you to have your parties, meetings or get-togethers right here on base! These venues offer a variety of amenities. Call 321-494-8063 to find out how we can serve you!